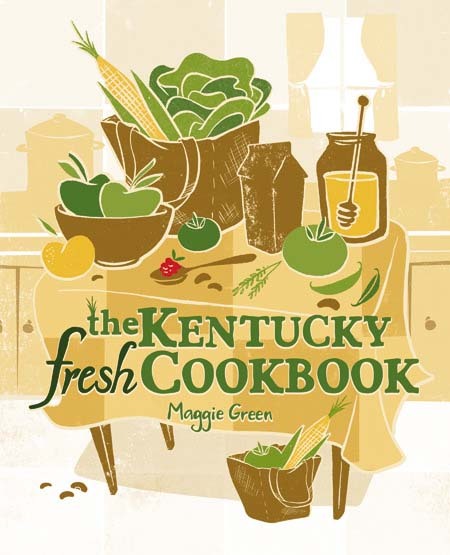 It is a thrill to interview a cookbook author who has published with a university press. I appreciate the work that university presses do to further the exploration of regional food topics through the publication of regional cookbooks. 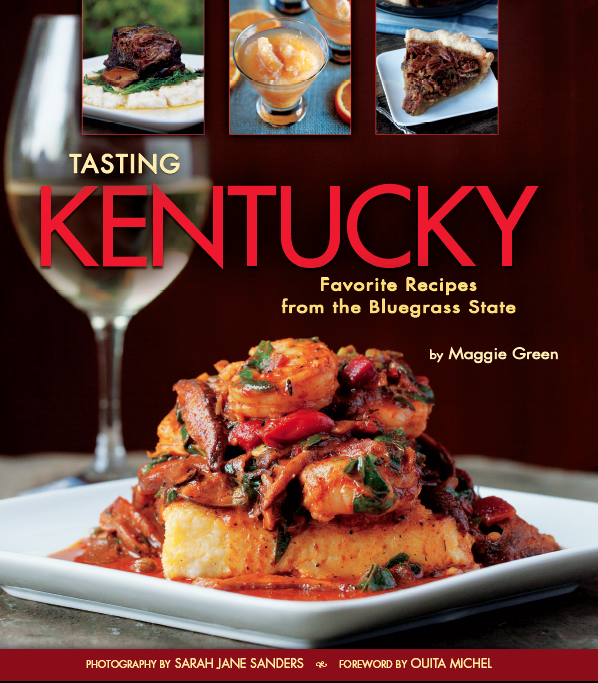 I have to admit that I may be partial, though, because University Press of Kentucky published my first cookbook. I always encourage aspiring cookbook authors to consider a university press as a worthy publisher for topics related to regional food and cooking. Sandra’s publisher, The University of North Carolina Press, is known for their cookbook publishing division. 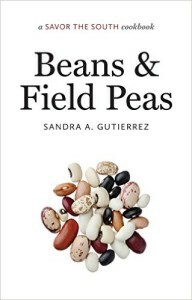 UNC Press publishes cookbooks and foodways books including an appealing series of Savor the South cookbooks that cover single topics from Crab & Oysters to Sunday Dinner, as well as Sandra’s contribution to the series, a staple in southern cooking, Beans & Field Peas. 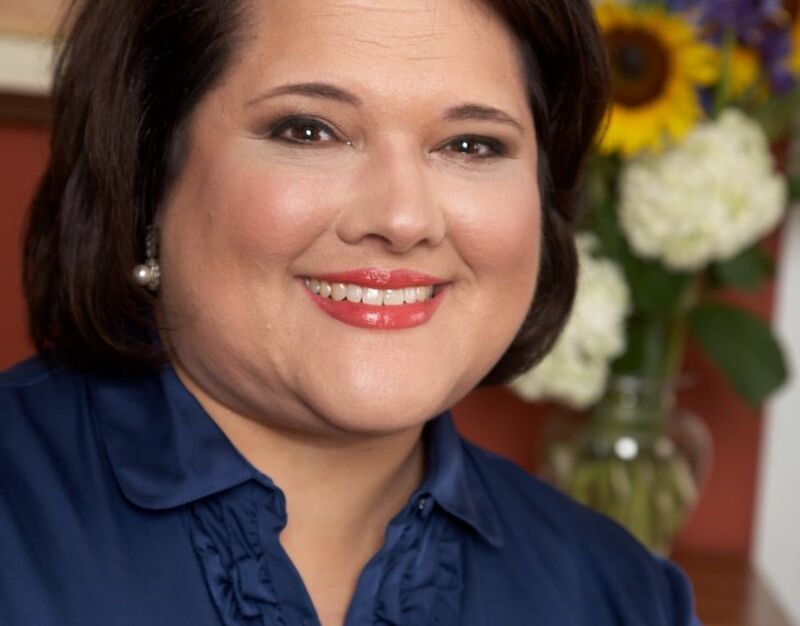 Sandra is a fellow member of IACP and a member of a Facebook Group called Cookbook Writers. She has written four cookbooks, so her experience spans the publication of these books. Her experience is valuable and helpful to aspiring cookbook authors, especially with her advice about developing a platform for your writing. Thanks, Sandra for participating in this interview series. What is the name of your cookbook? Is this your first cookbook? No, it’s my fourth cookbook. Tell us about your other cookbooks. My first cookbook is called The New Southern-Latino Table (UNC Press, 2011) where I expose the new culinary branch of southern cuisine that is blending with Latin American elements. My second book, Latin American Street Food (UNC Press, 2013) explores favorite street food from Mexico to Argentina. My third book is Empanadas: The Hand-Held Pies of Latin America (Stewart, Tabori & Chang, May 2015) is all about these beloved morsels from Mexico to Brazil. It was a natural progression of my career as a food writer and culinary instructor. I was the food editor for The Cary News (a McClatchy publication) for 8 years, and a freelance food writer for almost a decade. I have been teaching about food and food history since the late 80’s. Writing books allows me to reach a wider audience and to continue to share the food that I love and know. Do you have a food blog? If so, was your blog a driving force in obtaining a contract or deciding to write a cookbook? Yes, I do have a blog, Sandra’s Kitchen Studio but it didn’t have anything to do with my obtaining my first contract. I mostly use it to inform my students and readers of upcoming events or breaking news. Writing books has made my number of followers grow, so it’s worked in the opposite direction but it didn’t make a difference in getting my first book. Can you tell us how you were offered a contract for your cookbook? I was contacted by a literary agent, Lisa Ekus of The Lisa Ekus Group, and she signed me soon after. I wrote a proposal, and she shopped it out. That first proposal didn’t sell, but a chapter in the proposal caught a publisher’s eye and they asked me to write a whole book about it. Soon after, I had a first contract. I don’t think aspiring cookbook authors need blogs. Having a platform is much more important and that can be obtained by writing in other outlets and by building a reputation as an expert in whatever you want to write about. The best advice I can give future authors is to read, read, read and write, write, write! Get published in other forms and get paid for it (this shows publishers that you can sell). Make yourself known by teaching or writing before you try to get published. Yes, some bloggers have gone to make a lot of money from writing books, but if you truly look at the number of cookbooks out there and compare it to how many bloggers have gotten contracts, you’ll be surprised to see that they are the exception rather than the rule. I do in that it’s always changing. Publishing houses are constantly bought by other large publishers, so there are less of them out there. However, more cookbooks are being published now than ever before. Cookbooks are selling big time. What are your thoughts about an aspiring author, who’s an unknown food entity, writing a cookbook? Like I said before, build a platform. However, I believe that if you have a great subject matter and if you know how to develop/write great recipes (and just as important, great headnotes and stories) aspiring authors should continue to try to get published. There is room for everyone! What is your advice for an aspiring cookbook author who is reading this interview? When I’m asked why I write, I always answer: “because I must.” I’m not talking about money here, I’m talking about that need that comes from within me to share everything I can about food. I’m talking about an incessant longing to write about a subject that is an inherent part of my daily life. If writing cookbooks is your dream, do not give up! Just remember to be truthful in what you write (don’t steal work from others), and never stop learning all you can. We must never stop learning. Know also that this is hard work; sometimes, lonely work. However, it’s rewarding to know that your book is in someone’s kitchen, probably splattered with sauce, or on a bed-side table where someone reads it like a novel. What was the biggest challenge in completing your manuscript? Like many authors will tell you, the hardest thing is letting go of the final manuscript because it never feels “finished.” There are always improvements that can be done, recipes that have to be left out, and entire sentences (sometimes paragraphs) that had to be removed from the final work. However, at some point you have to let it go.